Jordan Dane makes up stuff for a living. She hears voices in her head and considers that to be a good thing. Her stories weave a tapestry of vivid settings, intrigue, and dark humor. Her debut adult book, No One Heard Her Scream, was named Publishers Weekly Best Books of 2008. She writes YA novels for Harlequin TEEN: In the Arms of Stone Angels, On a Dark Wing, and the Hunted series. She lives in Texas with her husband and two rescue dogs. 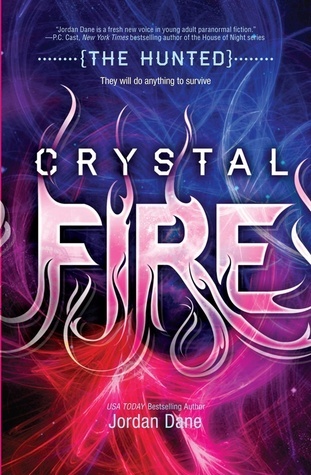 Crystal Fire was a great book. I think that the descriptive writing in this book as a level of depthness to the story that really engages the reader and keeps them on the endue of their seat. The characters are very well developed and I loved getting to be back with them in this second installment. And the multiple perspectives from the different characters in the book worked really well with this story. Overall a great addition to this series!